Since posting my last blog about CBD OIL, Ask Linda has been inundated with questions about what this oil is, how it works — and in particular its benefits for the skin. If you missed this blog – dated August 18 — you’ll want to check it out! In short, CBD OIL is derived from the CBD cannabis plant that has been used for centuries for a myriad of bodily problems. Please note that this is CBD – not THC – and has no mind-altering effects. Today I’d like you to know that CBD OIL has been discovered as an aid for those suffering from psoriasis and eczema. In fact, new trials are underway at the University of Colorado investigating CBD OIL not only for its pain relief but for patients with both psoriasis and eczema who have found steroids to be unsuccessful. The ECS consists of our body’s natural versions of cannabinoids, which are in nearly every cell in the body, including all over the skin and in immune cells. That’s where CBD OIL for psoriasis and eczema comes in. Cannabis can interact with the endocannabinoid receptors on the skin to help reduce inflammation, pain, and itching — even for anyone who simply has dry, itchy, or sensitive skin. Start with 1/2 to one dropperful per day, under your tongue. 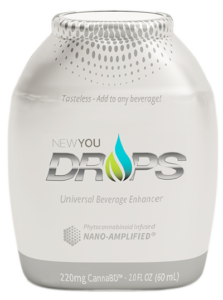 It supports the Endocannabinoid System and contains 500 mg Phytocannabiniods and 50 mg Humulus and is 99.7% – or higher – PURE. It is USA-Grown Organic, Non-GMd and THC-Free and NON-HALLUCINATORY.. Effective for your pets, regardless of size. 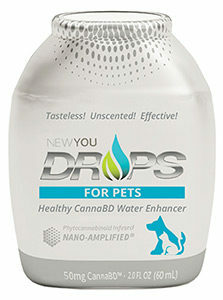 These drops contain NO THC, so there will be NO hallucinatory effects. THERE IS A REASON THAT CANNABIS HAS BEEN USED ALL OVER THE WORLD FOR CENTURIES, FOR IT WORKS IN HARMONY WITH THE BODY’S OWN NATURAL SYSTEM. SEE WHAT IT CAN DO NOT ONLY FOR YOUR SKIN, BUT FOR YOUR ENTIRE BODY! This entry was posted in ECZEMA, ITCHY SKIN, PSORIASIS, Skin Care and tagged dry skin, dry skincare on August 31, 2018 by admin.